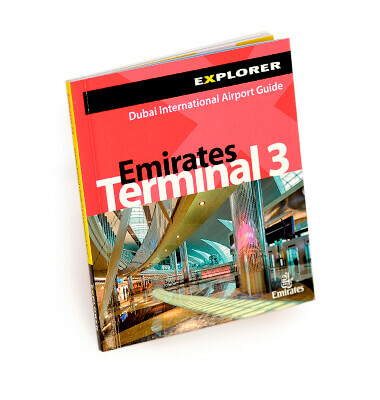 The award-winning team of researchers and professional cartographers produced this customised guide and map of Dubai’s Terminal 3, on behalf of the UAE’s national carrier airline, Emirates. Using a wealth of information, stunning images and high-quality designs, Explorer helped to showcase one of the busiest and most modern terminals in the world. This is a concise and user-friendly overview of the Airport Terminal, pinpointing its location, amenities, shops, hotels, restaurants, ATMs, kiosks, as well as important gate information and traveller tips. This is the perfect resource for frequent fliers to and from the emirate.